Pizza . Ice Cream . And much more. Many of you have been waiting a long time for this, but Frankie’s is finally serving gluten free pizza! 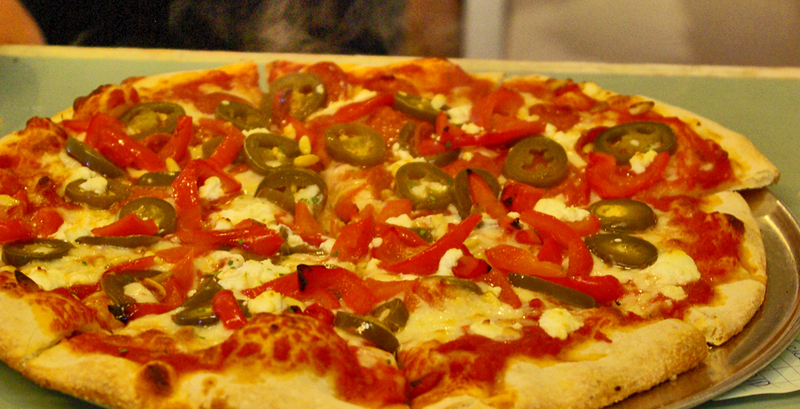 You can order any of the regular toppings or specialty pizzas on our menu and have it on a gluten free crust. 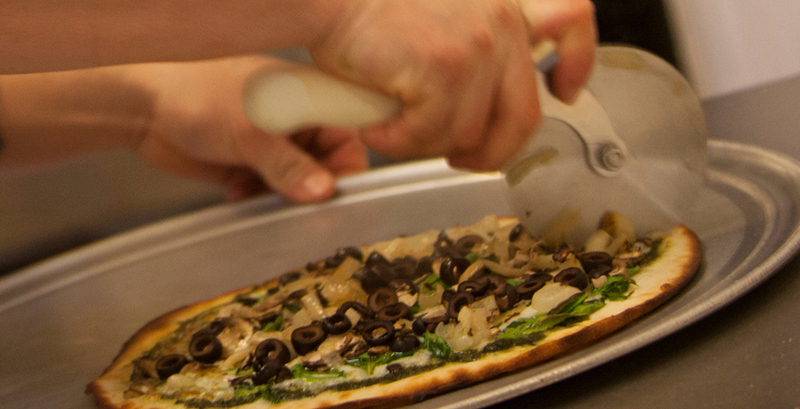 All gluten-free pizzas are 12″ and made to order with fresh, organic ingredients and lots of love! 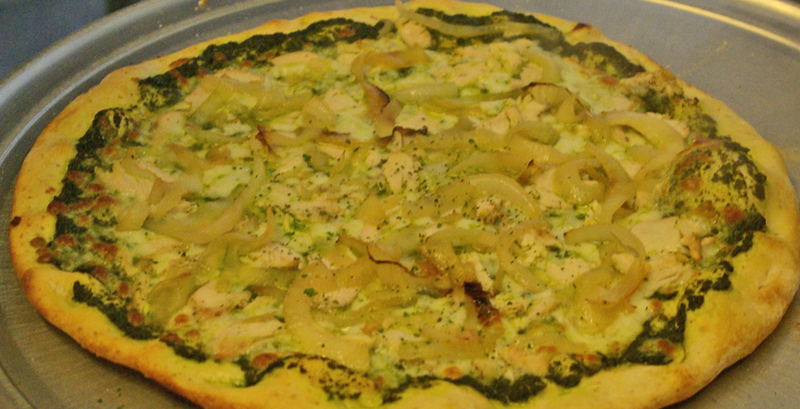 Frankie’s pizzas are made with organic flour, sauces & herbs. Most of the veggies are organic. 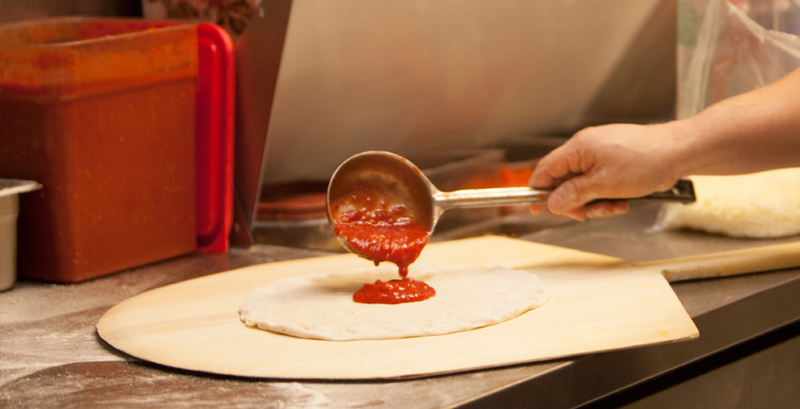 Our dough and sauces are vegan. 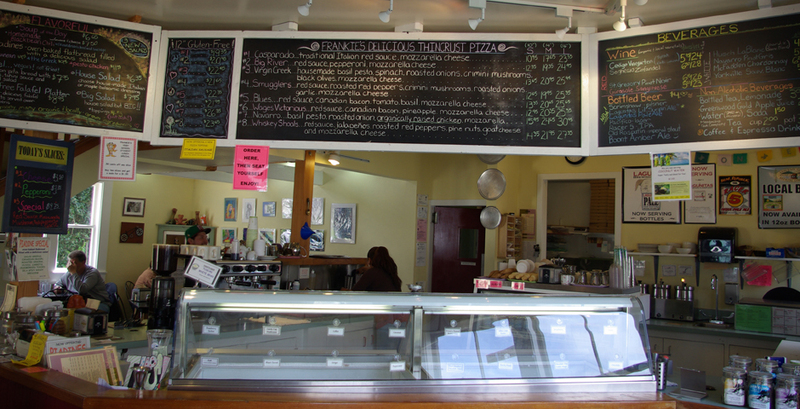 14″ and 16″ pies can be done half and half. Order off the menu or feel free to create a unique pizza of your own. 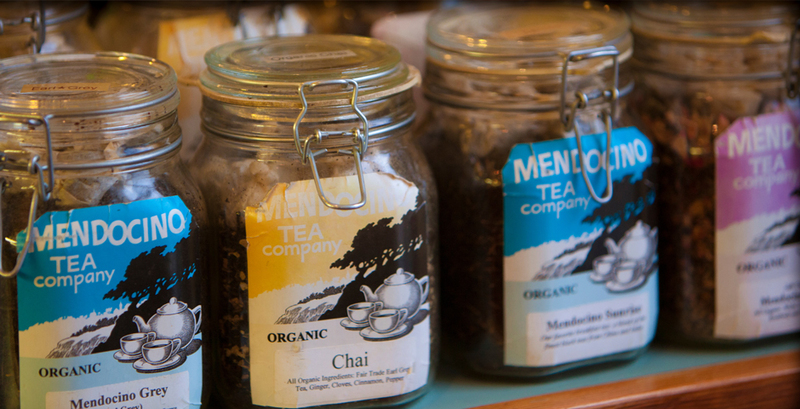 We use organic ingredients whenever possible. Please check out our food and beverage partners. Frankie’s Falafel All organic and made from scratch. Fresh hummus, tahini sauce and seasonal salad combined with tasty, oven-baked falafel balls. 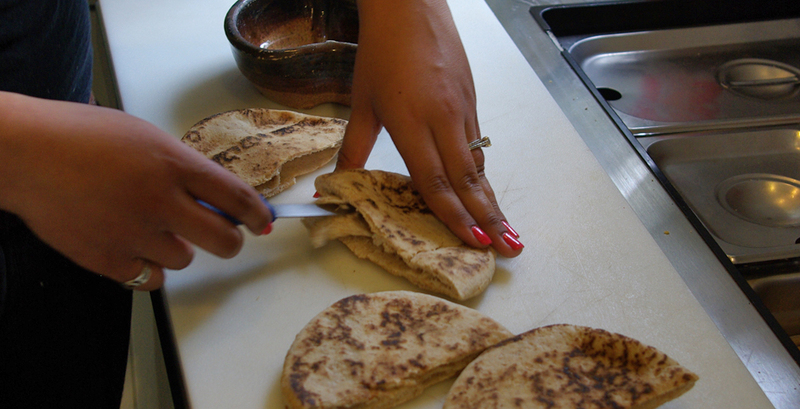 Served in whole wheat pita. Vegan. Quinoa Kale Cakes House made with organic quinoa, kale, onions, eggs & parmesan cheese. Served with mixed salad greens and basil vinaigrette dressing. Gluten-Free. Frankie’s Big Salad larger verion of organic green salad. Add a variety of organic ingredients to your salad ($1 – $3 per item). Mediterranean Salad spinach, artichoke hearts, sundried tomatoes, garbanzo beans, feta & parmesan cheeses with spices tahini dressing. Pesto Chicken Salad greens, sliced roasted chicken, roasted red peppers, roasted onions, jalapeños with pesto and Italian dressing. Greek Salad greens, tomatoes, cucumbers, onions, feta, kalamata olives with Greek style tahini dressing. 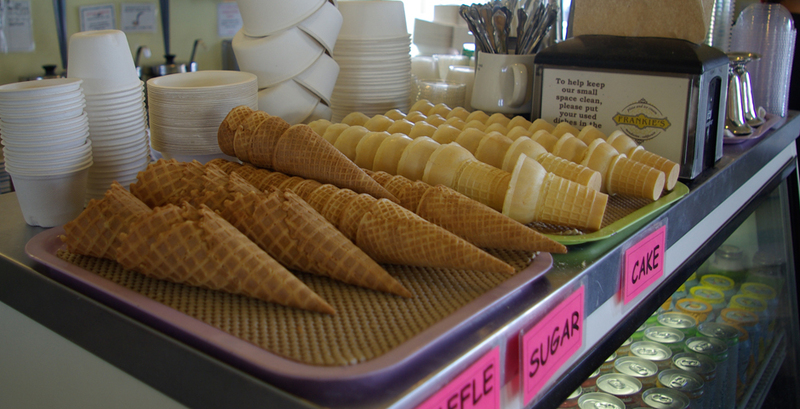 Frankies serves locally made Cowlicks’s ice cream and sorbet’s, with cones, in dishes and in a a variety of “fountain” offerings like sundaes and shakes. We also sell ice cream by the pint and by the quart. 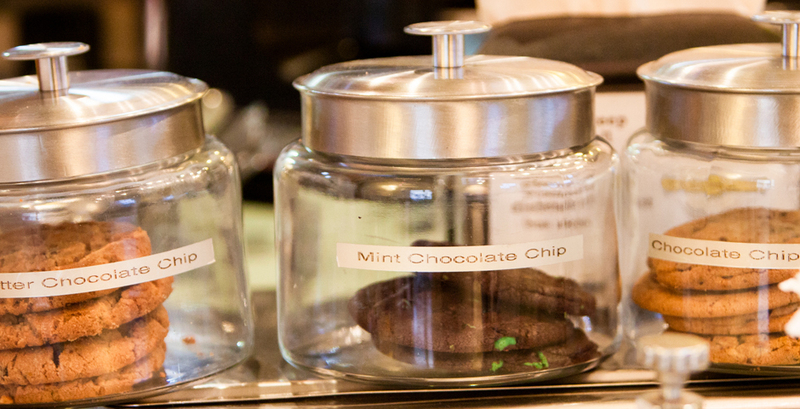 We rotate our offerings daily, with 16 flavors available. 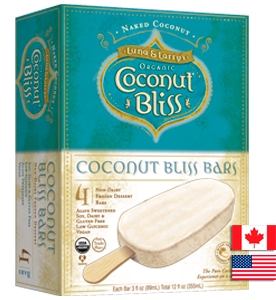 We are also serving Coconut Bliss Bars made with coconut milk and agave syrup – no refined sugar! 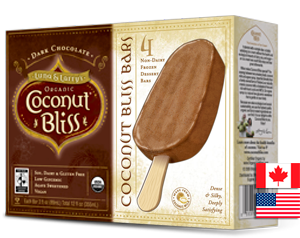 Available in chocolate, coconut or salted caramel. All of Frankie’s wines are locally produced.